Property is placed in a value range from $8.5M – $10.5M. 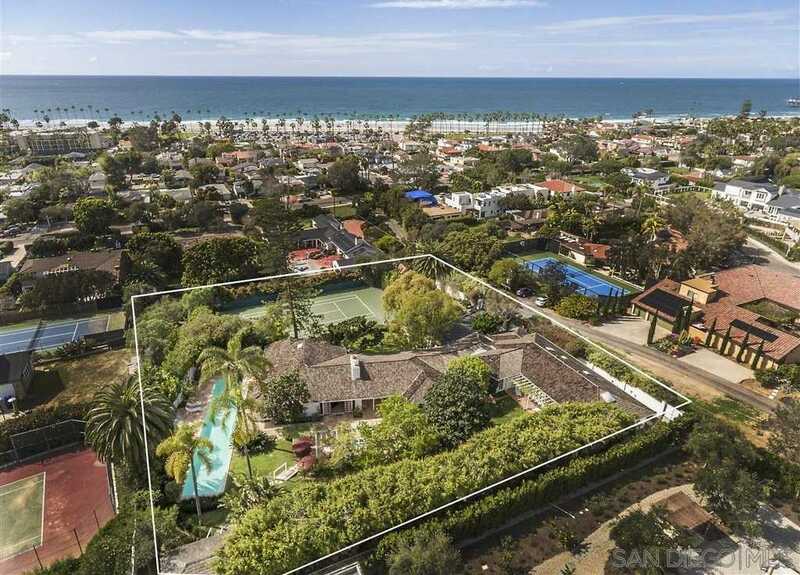 Rare-Private-Secure gated 1-acre Shores tennis estate. Privacy abounds on this serene property 5 mins. walk to the beach. Spacious, ranch residence offers 6BD/7BA in main house and a lovely, detached 1BD/1BA guest cottage w/ separate entrance. The exterior features cutting gardens, lush trees, pool and spa and extensive paved patios for entertaining and relaxation. Fireplaces and French doors accent the interiors. On a private Rd off LJ Shores Dr.